How can I increase my sales? How do I grow my business? How do I get my business ready to sell? These are the sorts of questions that are best answered by collaborating with a business coach. Business coaches give professionals, business owners, and entrepreneurs the platform to grow in a number of different ways. They tend to work on a fixed schedule, sharing growth plans, personalised advice, and actionable feedback with their clients, all for the purpose of increasing company growth, accelerating their career, or boosting company revenue. When I say “business coach,” it is easy to envision a cheesy, motivational speaker, in a cold conference room but this couldn’t be further from the truth. Hiring a business coach could be the best investment you ever make for your business or career. So, no matter whether you are a successful entrepreneur who wants to plan their next move or you are a business professional that is struggling to grow your business, you can get onto the lucrative path to success with the right business coach. The first reason why you should consider hiring a business coach is simple: two heads are better than one! Of course, this doesn’t mean any old head – it means a mentor that has expertise and experience in your industry; someone who can bring tons of value to the plate. You need a business coach to unearth amazing ideas that can take your business to the next level. After all, apps, software, guides, and books can only get you so far as effective build resources. You cannot produce exponential growth through the mere study of business success. It takes more than this. There is an art in crafting rich opportunities that make more profit. Growing a business takes powerful guidance, informed collaboration, and smart business decisions, and this is something that you can expect if you hire a business coach. Of course, you will already have your ideas, but your business coach can help you to refine and execute them while bringing other suggestions to the table. Your coach will illuminate the path and help you with any connections you require along the way. You should allow an expert to help you with doing all of the essential work and getting your business on the right path by linking your plans and your objectives. Overall, you will be able to discover existing connections in a new light and elevate your thinking, which will take your career or business to the next level. Just like the regular person goes to see a therapist, the regular business owner should see a business coach. A business coach has the training and expertise to help you grow. They provide you with a safe place to discuss any ideas you have, no matter how ridiculous you may think they seem. “I want to expand my business by moving into this market, do you think it’s a good idea?” A business coach acts as a filter, providing direction and guidance and ensuring your business is productive. They have seen all of the blind spots, plateaus, obstacles, and challenges that can come a businesses way, and this is why they are in the best position to be your sounding board. The right business coach will be able to tell you exactly what you need to address in order to bring a certain idea to fruition. Another reason why you should consider a business consultant is because they will enable you to act bigger, not only think bigger. There is no denying that we are all guilty of exhibiting certain behaviours that are simply unhelpful. We can lie from ourselves from time-to-time, for example, and this only holds our careers and businesses back. However, a business coach will keep you honest. They will ensure that you are accountable for your goals, giving you the strategies you need to get there. After all, this is the only way that your objectives are actually going to be met. Think about it like this: you have made a promise to yourself and you have also made a promise to one of your friends. Which promise are you most likely to break? The one to yourself, right? It is surprising how much easier it is to break the promises we make to ourselves. This alone shows you how involving another individual can ensure that you are accountable. This will enable you to follow through on everything you have promised yourself so that you have the best chance of achieving the goals you established for your career or business. At the end of the day, success cannot be attained if you don’t follow through. The fourth reason why you should seriously think about hiring a business coach is that they will enable you to set realistic expectations. A lot of business owners and entrepreneurs are guilty of setting themselves up for failure because they impose simply impossible standards on themselves. A business coach can be there if you need to create a strategic business plan, rather than running out of time for strategic thinking. In a funny way, hiring a business coach is actually a way of making an appointment with yourself. It ensures that there is a dedicated time whereby your sole focus is going to be on, your business/career, and reaching your goals. We don’t dedicate enough time to this. It will all be about you growing as a business owner and entrepreneur. A business coach will work with you to ensure that a realistic and achievable roadmap is created for your own goals and objectives. If you are still feeling apprehensive about using the services of a business coach, why not take a look at some of the big success stories for brands, business, and entrepreneurs around the world? Richard Branson, the owner of Virgin, has spoken out about the importance of a business coach on numerous occasions. When he was struggling to get Virgin Atlantic off the ground, he received help from a mentor, and look at the business now! Branson has said that “it is always good to have a helping hand at the start. 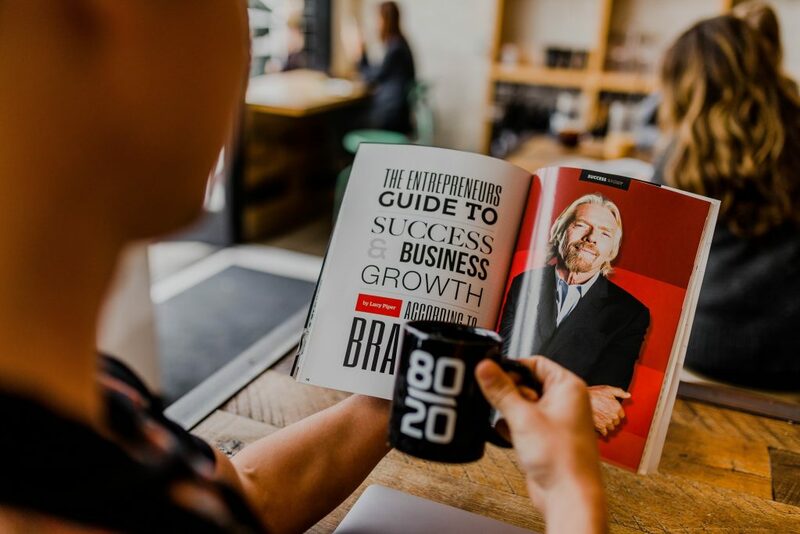 I would not have got anywhere in the airline industry without the mentorship of Sir Freddie Laker.” Branson is not the only one who recommends hiring a business coach. Google’s Eric Schmidt has said that getting a coach is the best advice he can give to new CEOs, whereas Steve Bennett, the former CEO of Intuit, has also stated that coaches are critical to continual professional development. There are lots of famous faces who have been reported to use coaches to help them advance their careers too, including Barack Obama, Bill Clinton, and Oprah Winfrey. A business advisor cannot only assist when you’re looking to propel your business to the next level. They can also provide expert assistance of exiting a business, whether this means selling it, retiring, leaving the firm to a relative, or training a successor to take your place from within the firm. 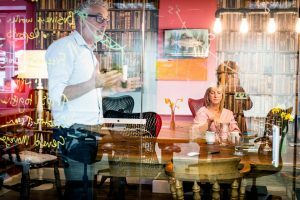 A business coach can help you to develop an exit strategy that enables you to achieve your goals both in terms of what you want for your business and what you want from your business. Determining the future of your business is not an easy decision, especially when there are employee, clients, and stakeholders involved. The right business coach will be able to soundboard your ideas and put together an effective plan and strategy, as well as helping you to implement it. They will have also overseen many cases whereby owners have moved on, and so they will know the pain points and how to address them. As you can see, the benefits of business consultancy are extensive. However, this is only going to be the case if you choose a business coach with care. At The Peloton, we do business coaching differently, and that is why we get the best results. “Business Wild” is just one of our approaches to consultancy. Remember earlier when we spoke about a cheesy, motivational-type speaker, in a dull, hotel conference room? Well, scrap that image! We are all about breathing life into your business and giving you a fresh perspective. We’re not your average business consultants. And, when we say “fresh” – we really mean it. We’re talking about the great outdoors! After all, when you need to clear your head, where do you go? We believe that the best way to get everything off your chest and to have a productive conversation is to take a long walk with a clear destination in mind. This gives you the perfect opportunity to address a lot of the issues that you have not done so far because you simply have not had the time. Earlier, we mentioned how most business owners and entrepreneurs do not set aside time to think about their goals and how they are going to get there, and this is why taking a step away is so important in order to refocus and have a clear idea of what you want for your business. So, we go for a walk together! It’s the most simple idea in the world, but aren’t they always the most effective? It gives you a chance to speak about your business, and by the time you return, you should have a much better idea of what you want to do and how you are going to get there. The great thing about Business Wild is that it is completely free-of-charge. We know that a lot of business owners are apprehensive about spending their money on the assistance of someone, and rightly so. That’s why we have made this initial consultation a free service. If you need help to execute your plan, we can then help you to do so, and we will do it well! However, it’s not compulsory. If you walk away and decide you want to plan yourself and implement your new ideas on your own, that’s fine by us. So, why not take a walk together and get talking?